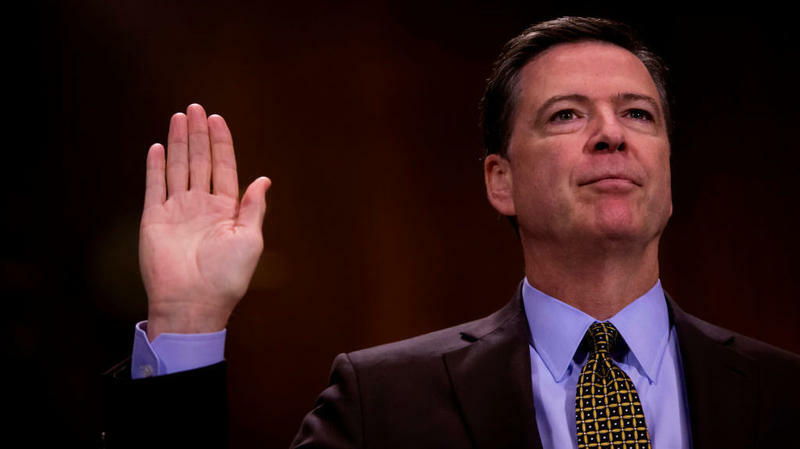 Former FBI Director James Comey's opening statement for the Senate Intelligence Committee hearing on Thursday shows that the president wanted it publicly known that he was not under investigation. 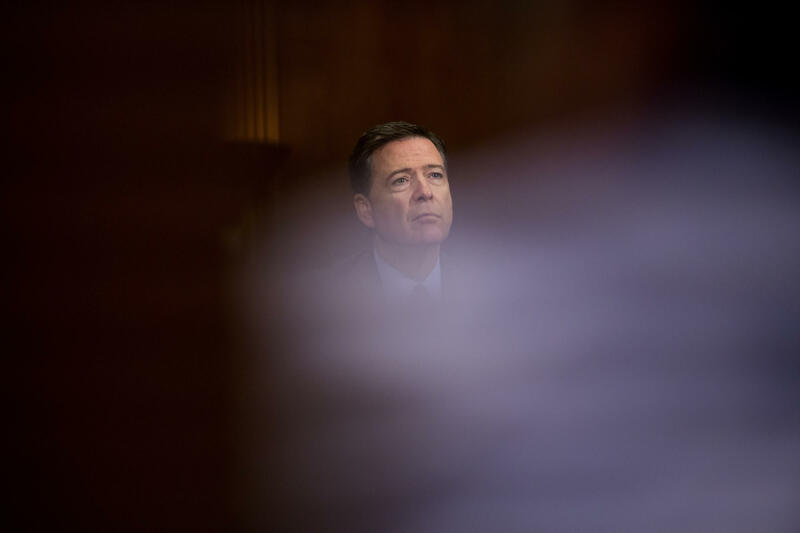 The opening statement from Comey, released by the committee less than 24 hours before his testimony, effectively confirms many of the bombshell reports from The New York Times and The Washington Post over the past month that have raised the question of whether the president tried to interfere in the ongoing investigation into Russia's meddling in the 2016 election and whether Trump campaign associates colluded with Moscow. Comey was fired by Trump last month, and the president later said the Russia investigation factored into his decision. Comey will testify that in March, Trump called him and asked what the FBI could do to "lift the cloud" around him and his administration involving Russia. I had understood the President to be requesting that we drop any investigation of Flynn in connection with false statements about his conversations with the Russian ambassador in December. I did not understand the President to be talking about the broader investigation into Russia or possible links to his campaign. I could be wrong, but I took him to be focusing on what had just happened with Flynn's departure and the controversy around his account of his phone calls. Regardless, it was very concerning, given the FBI's role as an independent investigative agency. During a May 18 news conference, Trump denied that he had asked Comey to scuttle his investigation into Flynn and denied that there had been any collusion between his campaign and Russia. Comey says he did not inform Sessions about that conversation because he anticipated the attorney general would have to recuse himself from the Russia probe (which Sessions did two weeks later), nor did he talk with it about with then-Deputy Attorney General Dana Boente, who was only the interim deputy. However, he did tell Sessions that being left alone with Trump "was inappropriate and should never happen. He did not reply." Comey says that he had "nine one-on-one conversations with President Trump in four months — three in person and six on the phone" and that he wrote memos after each of those encounters, some of which he shared with top FBI officials. In comparison, he spoke alone with President Barack Obama only twice in two years and never on the phone. On the morning of April 11, the President called me and asked what I had done about his request that I "get out" that he is not personally under investigation. I replied that I had passed his request to the Acting Deputy Attorney General, but I had not heard back. He replied that "the cloud" was getting in the way of his ability to do his job. He said that perhaps he would have his people reach out to the Acting Deputy Attorney General. I said that was the way his request should be handled. I said the White House Counsel should contact the leadership of DOJ to make the request, which was the traditional channel. He said he would do that and added, "Because I have been very loyal to you, very loyal; we had that thing you know." I did not reply or ask him what he meant by "that thing." I said only that the way to handle it was to have the White House Counsel call the Acting Deputy Attorney General. He said that was what he would do and the call ended. During a gaggle with reporters on Air Force One, returning from Ohio where Trump had just given a speech on infrastructure, White House principal deputy press secretary Sarah Huckabee Sanders said that she wasn't aware whether or not the president had a chance yet to review Comey's opening remarks. "I did find the timing of the release a little bit interesting, directly after testimony from...hearing earlier today," Sanders did say, referring to testimony by top intelligence officials before the Senate Intelligence Committee earlier on Wednesday where two of them declined to speak in an open hearing about their private conversations with the president. Republicans quickly zeroed in on Comey's confirmation that he had indeed assured Trump three times that he personally was not under investigation. "President Trump was right," Republican National Committee Chairwoman Ronna McDaniel said in a statement. "Director Comey's statement reconfirmed what the president has been saying all along — he was never under investigation." Marc Kasowitz, Trump's private attorney recently engaged on the Russia investigation, said in a statement that Trump was "pleased" that Comey had confirmed those assurances he gave the president. "The president feels completely and totally vindicated," Kasowitz said. "He is eager to continue to move forward with his agenda." But Democrats found plenty of damning admissions in Comey's opening comments. House Intelligence Committee Ranking Member Adam Schiff, D-Calif., said in a statement that the former FBI director's "testimony confirms a host of troubling allegations concerning the President's conduct," particularly his request for loyalty from Comey and his request for Comey to scuttle the investigation into Flynn. "Director Comey was right to be concerned that the President was trying to form a patronage relationship with him, in which the Director would guarantee loyalty in exchange for job security. Had the Director agreed to do so would have been antithetical to the independence of his agency; that he did not, does not mitigate the unethical nature of the President's request," Schiff said. "The fact that this request, and the subsequent effort to have the Director drop the Flynn case, were made after the President excused everyone else from the room, strongly indicates that the President was more than aware of the illegitimacy of such demands."